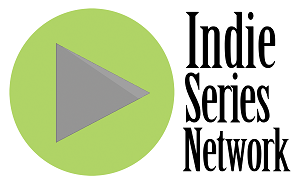 The results are in from the Indie Series Network and Serial Scoop "Web Series of the Week" (#WSOTW) poll for November 21-27, 2015. Family Problems was voted favorite web series for the third week in a row. The latest from Tweet came in second, followed by new episodes of Match Not Found, Shades of Bad and Archives of the Heart. The acting favorites were Family Problems' John Samela and Kathryn Shasha, and the favorite couple/duo was Agent Cable & Agent Wyatt from Family Problems. Kathryn Shasha (Agent Cable in Family Problems) was voted Favorite Actress for the week. The Favorite Couple/Duo for the week was Agent Cable & Agent Wyatt from Family Problems.